Interesting couple of days ahead! | Interesting couple of days ahead! Interesting couple of days ahead! Very interesting 2 days coming up. 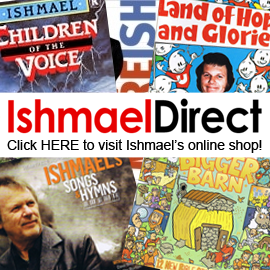 Today and tomorrow for the first time in 37 years all 4 original members of Ishmael United will be in a rehearsal studio playing music together in preparation for this years Big Church Day Out in May. It’s very exciting if just a tad daunting! I’ll let you know how it goes!